Several weeks ago I first saw Andrew Lloyd Webber's masterpiece Cats not on stage but on video. I hate to admit it. I didn't like it at first. I hardly understand the show especially the plot. I almost lost the interest to watch it Live which is about to play in Manila starting July. Then days before the show I was invited on an exclusive sneak peek on the show and got the chance to see some segments. And boy I was completely wrong. I practically ate everything that I've said about it. Then there I realize, I'm just appreciating it the wrong way. 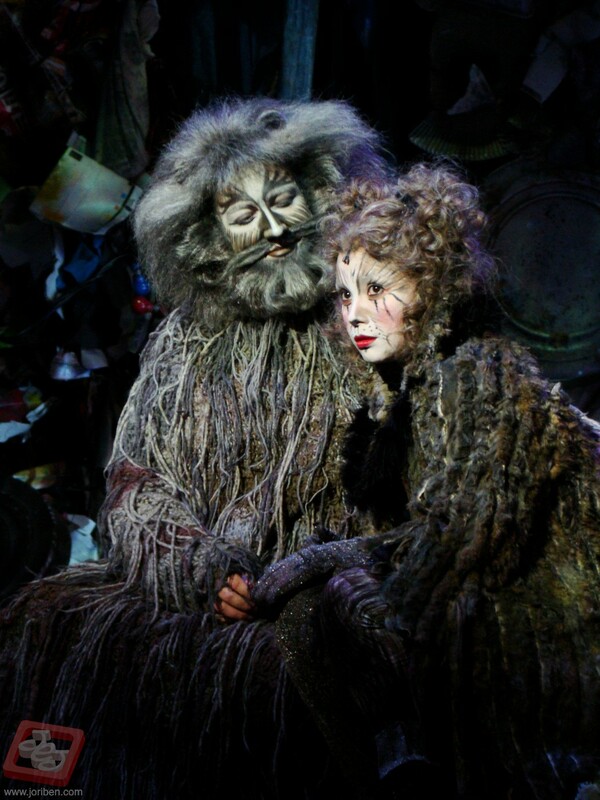 Cats is a musical created by the master composer Andrew Lloyd Webber based on the poetic anthology of T.S. Eliot Old Possum's Book of Practical Cats. As you can see this is the reason why most people didn't enjoy the show. Rather than a narrative prose, Cats is a collection of Lyrical poetry performed as a straight musical. There are no speaking lines, only songs and poems. Though there is indeed a plot, the story is not that too complicated like most people expect. In fact I can narrate the story in just one sentence in a matter of seconds. Audience should not waste time figuring out things on the plot because they might miss what is exactly the best part of the show. opening showcasing the gracious and spirited dance moves of the cast. 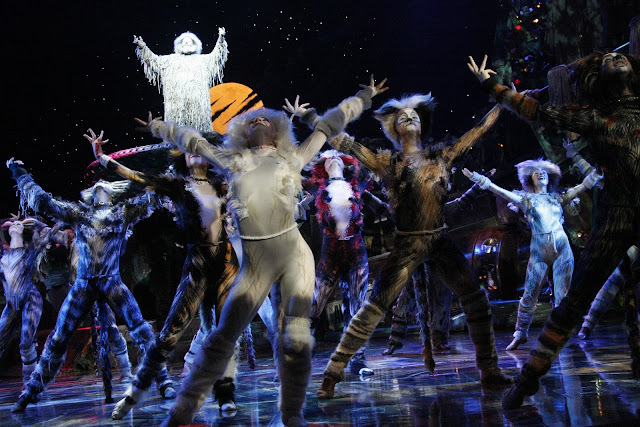 What artists appreciate more on Cats is the marvelous fusion of triumphant music and dance sequences. Ranging from acrobatics, ballet, jazz and even some tap dancing, Cats cast excelled in every bit of detail and energy. They even mastered how to move and act as real cats while incorporating them with human like rhythmic movements. Also I can't even agree more that the music is a top class creation from a top class musical genius worthy of respect and admiration. 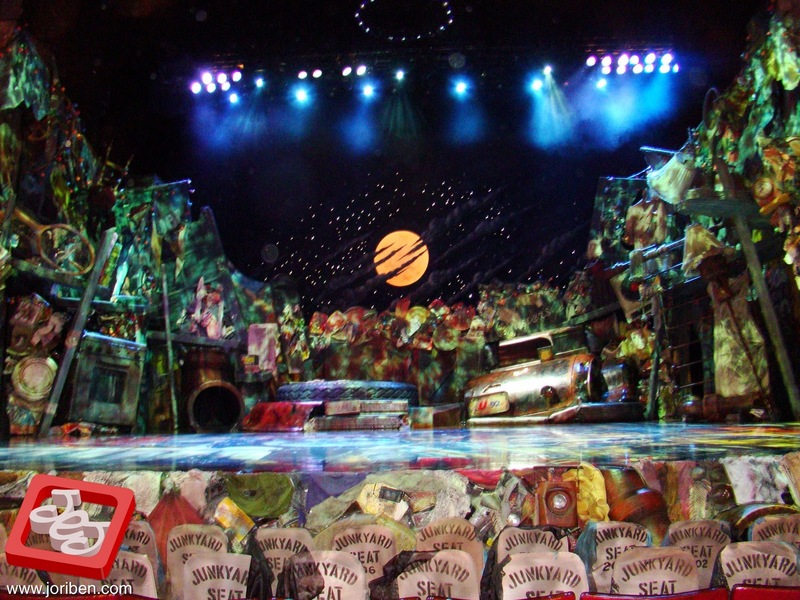 Of course before the show even started, the one thing you will notice first is the stage The intricate details on the stage greatly immortalize a Junkyard where the Jellicle tribe meet each year. You will also be amazed of the advancements installed to use on several scenes that requires cast to be lifted up in the air or just render glowing cat eyes all over the set. 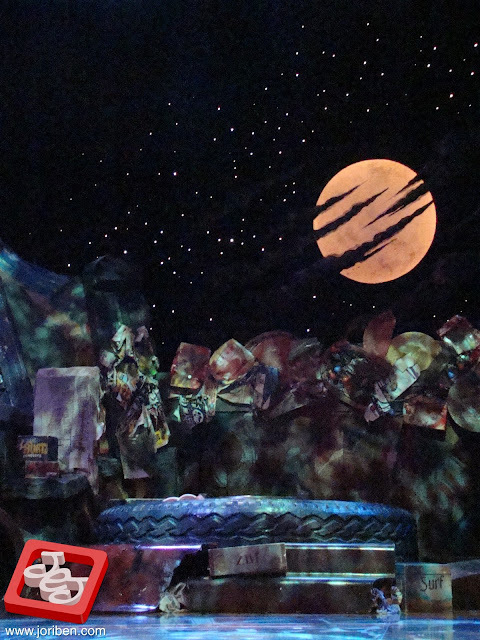 Just like Mr. Mistoffeless, the stage is purely wonderful and magical on its own right. Despite being Cats, every actors has different personality and traits. It is mentioned on the songs that Cats have 3 names though I believe it doesn't literally means a name per se but 3 qualities or characteristics. Every actor portrays their respective roles in different ways and style despite the fact that they are all playing the same animal. Furthermore with the help of colorful make up and well designed costumes, the actors' appearance are enhanced allowing them to delve much deeper on their roles. I like how the designs of every character differ from one another. No single Cat looks like the other and I commend the make up artists and the actors themselves that apply the make up with much dedication and passion hours before the show proper. Lea, just out of the costume and make up. I'm really so proud of our very own Lea Salonga for a magnificent portrayal of the iconic character Grizabella the Glamour Cat. Before, I can't imagine how will Lea play a very old Cat. I believe she is still not that old for that role. Some of her first promotional photos wearing the costume and make up makes me think that she still looks too young for the part. But when I first saw and hear her sing "Memory", I forgot what I said and almost cried because of how beautifully Lea executed her role. To sum it up. People must not focus on the plot. Audience must focus on a more important aspect of the show which is the music and the breathtaking dance sequences. This show is a must watch classic especially to all theater lovers who don't have the chance to see it on West End or Broadway. Best place to watch the show is in the Balcony. Yes, you heard me right. Because from the balcony, you can see the whole stage where you can have a good look of the musical dance numbers. If you want to see the characters closely, avail for the P50 Binoculars. Now hurry up, and you only have several hours before the last shows. Tomorrow the cast will be leaving the country as they visit Taiwan for the next stop of the tour. Login to Ticketworld.com.ph to see seatmaps and show prices.